Matador BBQ covers are the ideal way to protect your valuable BBQ from natural elements such as rain and sun damage. The cover is designed to provide an optimum fit, made with Xrepel fabric technology for superior performance. 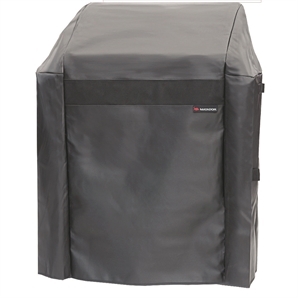 This BBQ Cover will fit 2 and 3 burner BBQ’s with the shelves folded down and comes with an inbuilt zip that allows to cover to extend.